Sales Confidence | How do I coach my sales team? 28 Nov How do I coach my sales team? 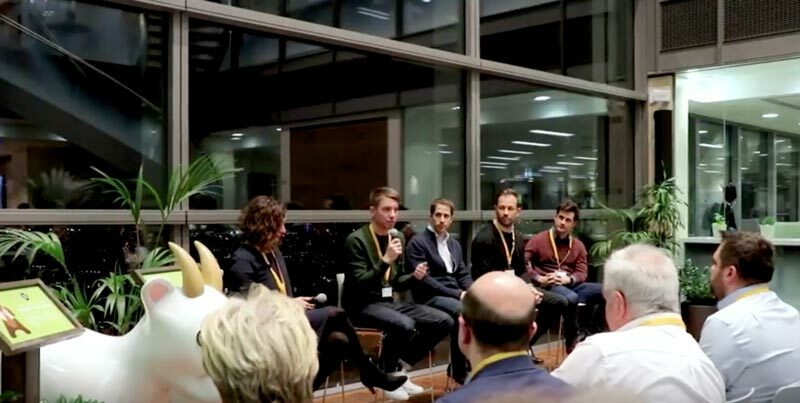 Another Stellar (with and without the r) Sales Confidence event last week, bringing together a great set of SaaS Sales leaders and contributors, sharing and learning their experiences, successes and challenges. What was great from a personal and slightly selfish Refract perspective was that both of the first panel questions, following 4 great presentations to the speakers who had collectively led some of the most notable names and success stories in SaaS, was thy were around sales coaching. This shouldn’t be a great shock to anyone – coaching is racing up the radar for any scaling or ambitious SaaS business – recognised as the one activity any leader can prioritise, to have the biggest impact on revenue. I have to add though despite its universal agreement on impact (the number can range from 19% with 3 hours coaching a month to over 30% depending on your favourite study) and the proven alignment between strong sales manager and time spent coaching, figures show most manager dedicate no more than 5% of time coaching – and reps claim to receive half this again in what they consider ‘coaching’. – How do I coach my team? – Would you prioritise coaching the top 10% of your team or the bottom 10%? The panel provided some insightful answers and I’ll add my thoughts to each, from the experiences (and data) of 200,000 SaaS sales conversations. How do I coach my team? OK, this may be self indulgent but it’s why we started Refract. There are many types of coaching and all are valid – lead/opportunity coaching, pipeline coaching, account coaching, territory coaching and skills & behaviors. But revenue is won and lost in conversations. Prospecting, discovery, demos, closing – every conversation defines outcomes and revenue. Too many sales leaders have little idea what their top performers do differently in conversations. Sure, they know they are more committed, make more dials – all that stuff that is on the surface or in the CRM, but not what makes their conversations have more successful outcomes. It’s only by surfacing insight and data from analysing and listening to conversations that you can coach with praise, ideas and corrective feedback that move the revenue needle. It also provides the opportunity to share what great looks like – not just whole calls but champagne moments of how to position the value to this kind of prospect, story tell solving that problem for others, asking a great discovery question that unlocks the opportunity or dealing with that objection. Without that, everyone carries on doing as they did – with their kinda ok, meh, question, response or stories, in blissful ignorance of a better way. You have top performers right? They aspire to be future managers and leaders – but we all know great reps don’t necessary make great managers. Let them cut their teeth. Give them the opportunity to coach others, develop their leadership skills. Helps share the workload, create a coaching culture across the team. And you can coach them on their leadership. This works brilliantly for us at Refract and many of our clients. Each week take a couple of calls and tag the game tape at critical moments. What question should we ask next? Why? What do we hope that will give us? Is there an even better way to phrase it? The collective wisdom helps find the very best answers and more importantly understand too. Last week we broke down one of my Co-Founders Richard Smith’s calls. Rich is our Head of Sales and an exceptional salesperson (and manager). But by his incredibly high standards, this wasn’t going to make his hall of fame. How do you think the team feel breaking down the bosses call? Making suggestions of how he could have asked better questions? Missed that clue? Could have better understood the implications, compelling event or who else cared about solving this? They feel like no one is perfect. Every call could be better. We are all learning – together. We’re all striving for the same goal and everyone looks forward rather than dreads their call be shared (they all ask, every week). It creates a true coaching (and learning) culture. Would you prioritise coaching the top 10% of your team or the bottom 10%? It’s the middle 60% where as a manager you will get the maximum ROI from your time. My level jumping this majority delivers the best returns. It’s not to say don’t coach the rest. In fact I think there are 2 hidden benefits detailed below, but proportionately the biggest impact on revenue comes from level jumping your middle 60%. Top Performers – By maximising the bar for top performers, the bar of the business rises. A rising tide lifts all boats. By showing what is achievable, this can provide strategic benefits for the whole business. Bottom Performers – One of two things will happen with bottom performers. Either they will improve results or the outcome is inevitable. My blog, ‘Coach Up or Coach Out’ (https://www.refract.ai/blog/coachability) shares the rationale of helping work out fast, whether a rep will improve and is coachable. If you can determine they are not, there is great savings in wasted cost, resource and heads in your plan. Already looking forward to the next Sales Confidence event, next year.